Come già anticipato quasi un anno e mezzo fa, è stata ufficializzata l’adesione dell’United Korean Football Association in Japan (UKFAJ) nel CONIFA, la Confederation of Independent Football Associations. Pur confermando la nostra contrarietà a questa scelta, seguiremo come promesso l’andamento della nuova Associazione nelle manifestazioni, asiatiche e mondiali, del CONIFA. Una “sfida” in più per il nostro blog. 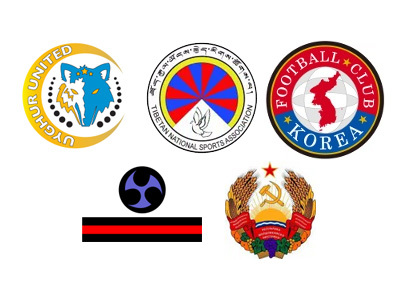 The Asian Federations of Ryukyu, Tibet, United Koreans in Japan and Uyghur are now new full members of CONIFA and are very much looking forward to meet our other teams on the football ground soon! In Europe Transnistria joined us and will, after 25 years of independence, finally enter the international football stage! We are very proud and happy that more and more teams express their will to be affiliated with CONIFA. The interest of the teams surely is a great sign of our success and is a huge compliment for our work. We will keep doing our best to serve our growing number of members in the very best and we are very much looking forward to see our new members playing their initial matches hopefully soon! Both North and South Koreans, are part of this often discriminated diaspora minority. Most Koreans in Japan came to Japan in the early 20st century and are now living in Japan often in their 3rd or 4th generation. The approximately 900.000 “Zainichis” where, however, never assimilated, but are still considered “foreigners” in Japan. Many Koreans in Japan speak a language that is neither South nor Northern Korean, but is often referred to as “Zainichi Korean”. The United Korean Football Association in Japan (UKFAJ) was founded 2015 and is lead by Mr Chong Gyong Ri. The team is a “spin off” of the club “FC Korea”, that plays in the Japanese football league system and consists of only Korean players. Due to the fact that all players belong to the Korean minority in Japan, the club is not allowed to go further up in the League pyramid and thus is looking for a new challenge, which it found in CONIFA. Posted in Senza categoria and tagged fc korea on dicembre 20, 2015 by calciocorea. Si è conclusa l’edizione 2015 della Kanto Soccer League, il campionato regionale giapponese in cui milita l’FC Korea. I coreani hanno chiuso a metà classifica, al quinto posto. Posted in Senza categoria and tagged fc korea on ottobre 14, 2015 by calciocorea. Posted in Senza categoria and tagged fc korea on giugno 6, 2015 by calciocorea. Giunge notizia che l’FC Korea rappresenterà i coreani in Giappone (i Zainichi) presso il ConIFA, la Confederation of Independent Football Associations, la più accreditata organizzazione calcistica internazionale per le nazioni non riconosciute. 4-le squadre juniores dei coreani in Giappone hanno già rappresentato la RPD Corea in recenti manifestazioni internazionali, come l’EAFF Cup under-18. Nonostante la nostra contrarietà, seguiremo comunque con il consueto trasporto eventuali partecipazioni dell’FC Korea a manifestazioni ConIFA. Posted in Senza categoria and tagged fc korea on agosto 8, 2014 by calciocorea.